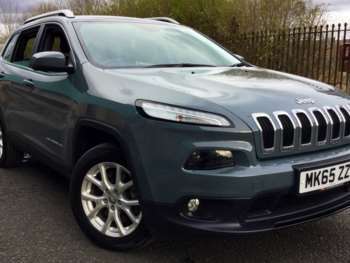 The Jeep Cherokee was first introduced in the UK in 1993 and production continued until 2010. The original cars all came with a 4.0 litre six-cylinder engine and automatic transmission and were known as the Limited. A Sport version was added in 1993 with a 2.5 litre four-cylinder engine with manual transmission. At the same time, The Limited SE 4.0 litre version was introduced. 1995 saw the release of 3 turbo diesel models all with a 2.5 litre four-cylinder engine and with manual transmission as standard. Trim levels were Sport, Limited or Limited SE. The second generation used Jeep Cherokee came to market in 1997 with a completely redesigned interior and new-look rear and front ends. Engine choice was unchanged. In 1999 the Orvis variant was introduced with 4.0 and 2.5 litre turbo diesel options. Later in the same year the Classic replaced the Limited. 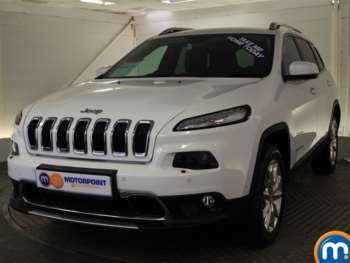 A completely new Jeep Cherokee for sale was launched in 2001 with a range of engine choices. It corrected some of its predecessor's faults, such as a lack of legroom in the rear. Production continued until 2008 when another all-new car was released. 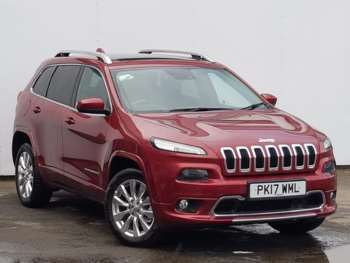 The 2008 version came with a 2.8 litre diesel engine that is considered the best Cherokee engine so far. Unfortunately, its emissions were too high for EU standards and production ceased in 2010. 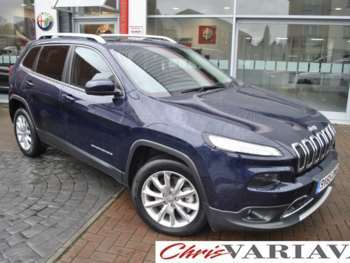 Early Jeep Cherokee cars for sale came loaded with features and were arguably the best looking of the entire range. The roof is rather low for most back-seat passengers and the boot is also little on the small side. Cherokees built between 2001 and 2008 also come loaded with features and the interior is reasonably plush and more roomy than its predecessor. Post 2008 cars have the improved diesel engine and even more room but a functional-at-best build quality. 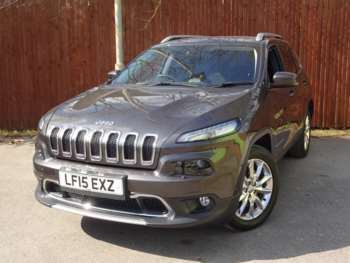 Early Jeep Cherokees are available for as little as £2500, which buys you an early 1993 2.5-litre Sport. Turbo diesel models start at approximately £4000. Post-2001 models kick off at £4250 and find themselves in either insurance group 14 or 15. After 2008 there was only one model available with a single choice of engine, the Limited with a 2.8 litre CRD diesel engine. Prices start at around £13,500 for a 2008 model, rising to £16,000 for a well-equipped and low mileage 2010 car. More and more of this model are entering the market so prices should start to go down in the near future. 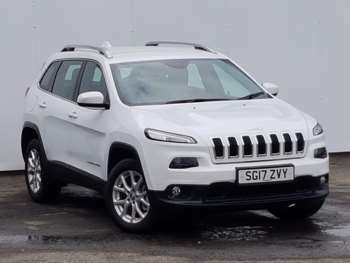 There are no known recurrent faults with any version of the used Jeep Cherokee. Most won't have been used off-road much but you should check the underside for any damage just in case. Turbo diesels need their oil changing more often than petrol models so check the service history. Be sure to check all of the electrics before you buy. For pre-2001 cars a new clutch assembly is around £140, front brake pads £40, a full exhaust £700 and an alternator about £330. For 2001-2008 cars a replacement clutch assembly will be about £175. A set of front brake pads will be around £40 and a new alternator around £280. Parts for Post-2008 vehicles are more expensive, a clutch assembly is around £400 and a full exhaust about £700 (with the catalyst). Pre-2001 used Jeep Cherokee examples aren't at the best on the road, giving a bouncy ride and the body lean that plagues many off-road vehicles. The 4.0 litre engine performs well but the 2.5 litre diesel and petrol models are a little ponderous. After 2001, ride quality improves enormously due mostly to the revised suspension system that replaced the outdated solid rear axle set up of early models. Post-2008 there was only one engine available the 174bhp 2.8 litre four-cylinder diesel. 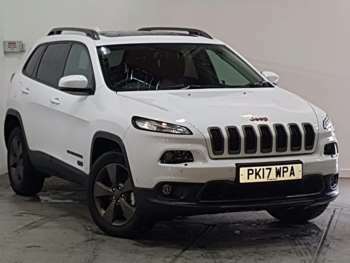 Although not the most refined piece of engineering ever this engine suits the Cherokee's rugged off-road pretensions very well. The live rear axle is also another reminder that the Cherokee chooses tough over fancy. 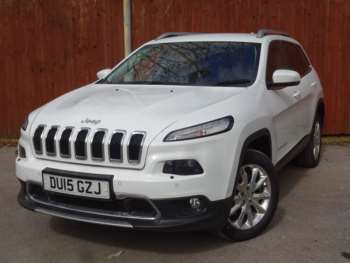 Overall, used Jeep Cherokees for sale represent great value for money having depreciated greatly since being available originally. Early models are likely to have done plenty of miles and may have been used by families so check the interiors carefully for damage. All generations have proved remarkably reliable over the years which is good as some spares aren't cheap. At the low prices that older examples command however you probably shouldn't let the price of spares influence your decision too much. Diesel models are much more fuel efficient than petrol versions.